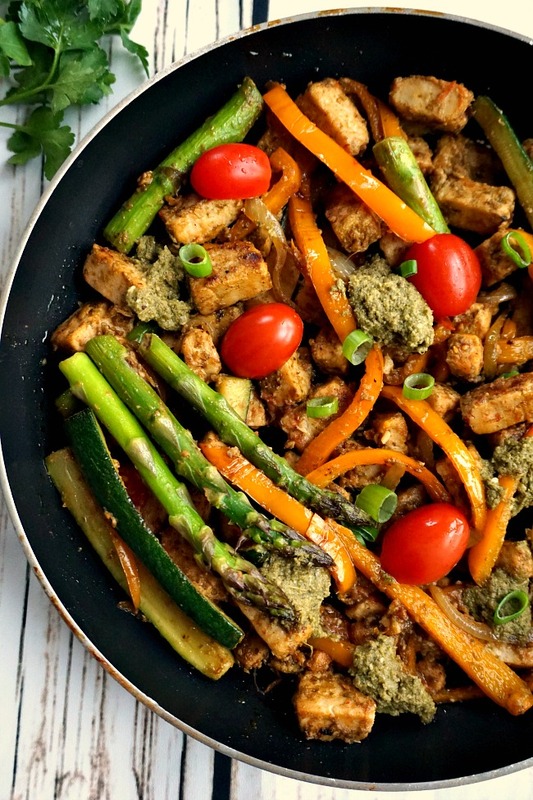 Healthy food is far from being boring, and a healthier lifestyle is so achievable. 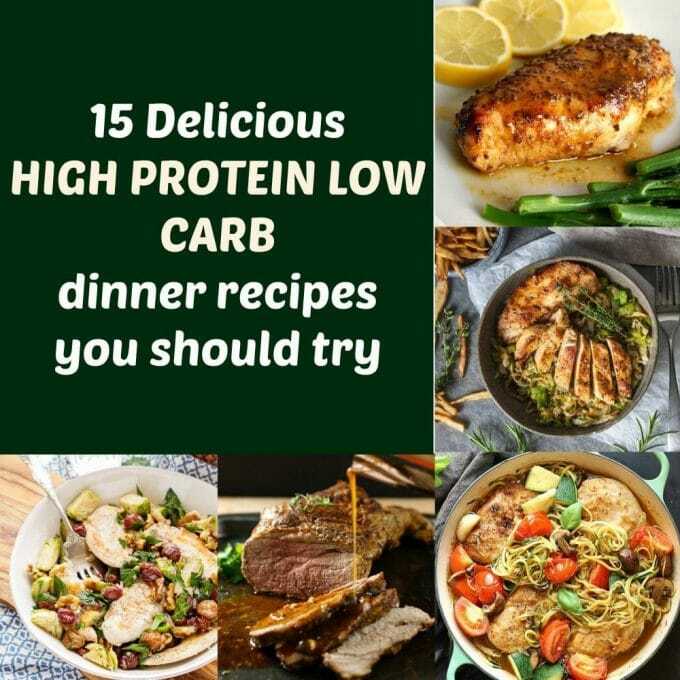 With these high protein low carb dinner recipes, you too can enjoy delicious food from the comfort of your own home. Super tasty and super easy to make, these recipes will transform your dinner into the most exciting meal of the day. What’s better after a long day than a nice meal followed by a good movie? If you are thinking about eating healthier food, but don’t want to compromise on taste, I’ve got you covered. 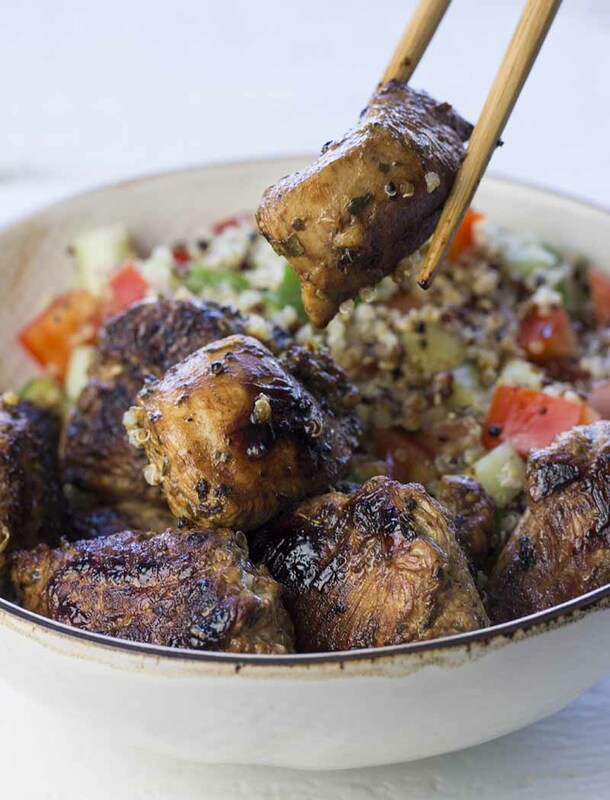 This collection of high protein low carb dinner recipes is for any foodie out there. No need to starve yourself or eat only salads, healthy food is all about balance, and a better way of cooking. Hard to choose a favourite recipe, so why not give them all a try? From chicken, to beef, fish and seafood, this is food for all tastes. 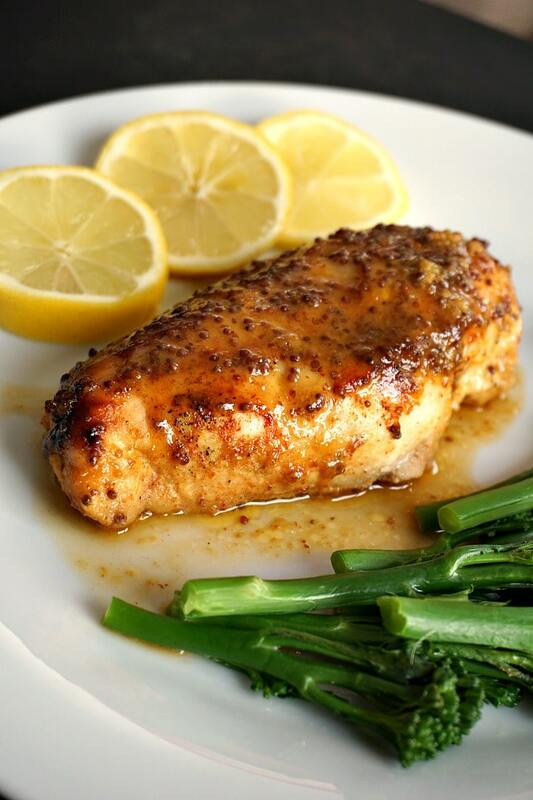 1 Baked Honey Mustard Chicken with a Touch of Lemon, served with broccoli spears from My Gorgeous Recipes, a recipe that is a big hit in my family. Super tender chicken in the most delicious honey mustard marinade, served with broccoli. This is restaurant-style food. Low carb, high protein, keto, just fantastic. 2. 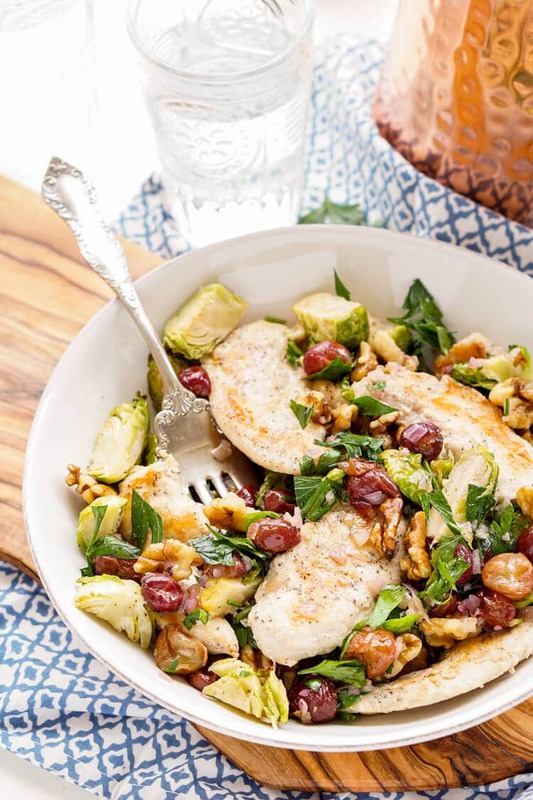 Roasted Brussels Sprouts & Grapes over Tender Chicken Dinner from Sugar and Soul Co – a fantastic dish that has it all: big flavours, a good crunch, and colour. This is chicken taken to a whole new level. 3. 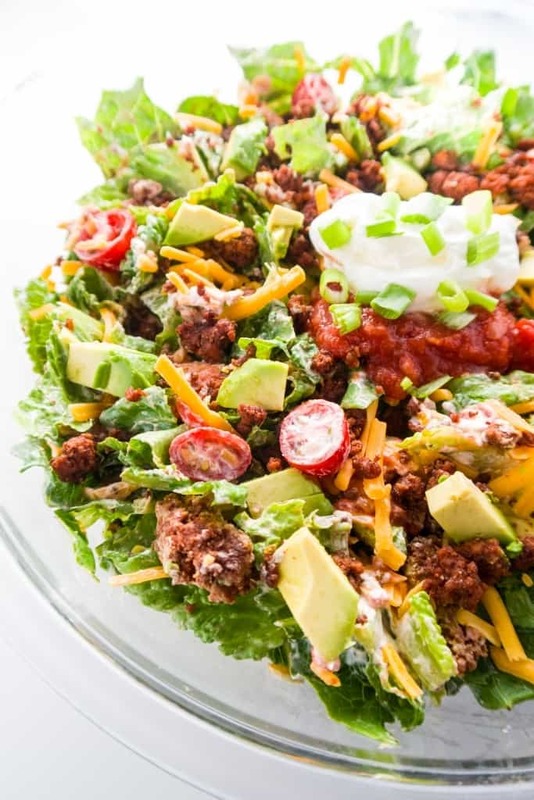 Healthy Taco Salad from Wholesome Yum – your favourite taco recipe without a shell. Light, healthy and so filling, this salad is sheer goodness. Whoever said salads are bland, they surely didn’t try this one. 4. 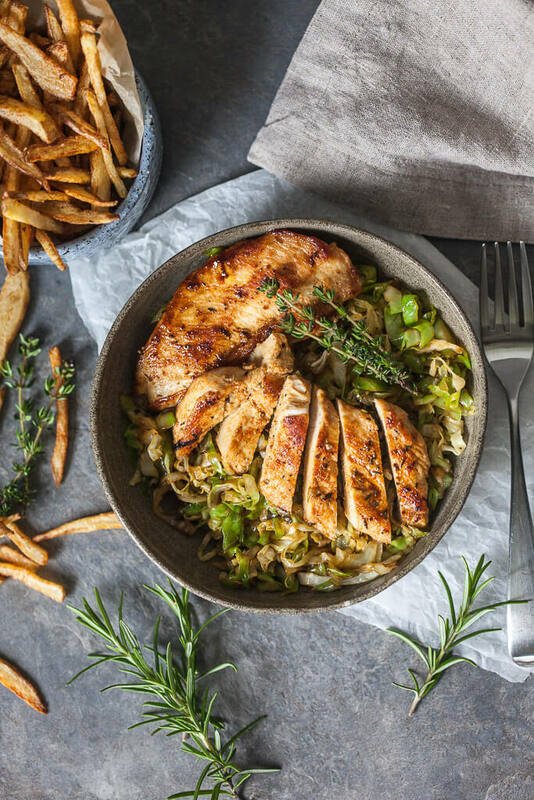 Rosemary Grilled Chicken on Cabbage from Vibrant Plate – grilling is not just healthier, but it also brings extra flavour to the chicken. And if you add rosemary, you know you are in for a treat. 5. 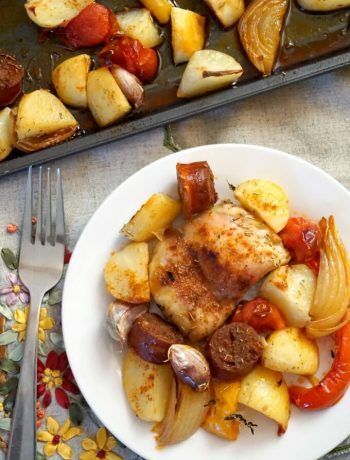 Marianated Turkey Breast from The Fit Blog – Turkey is high in protein, and also high in flavour. This mariande makes it finger-licking good, you really have to give it a go. 6. 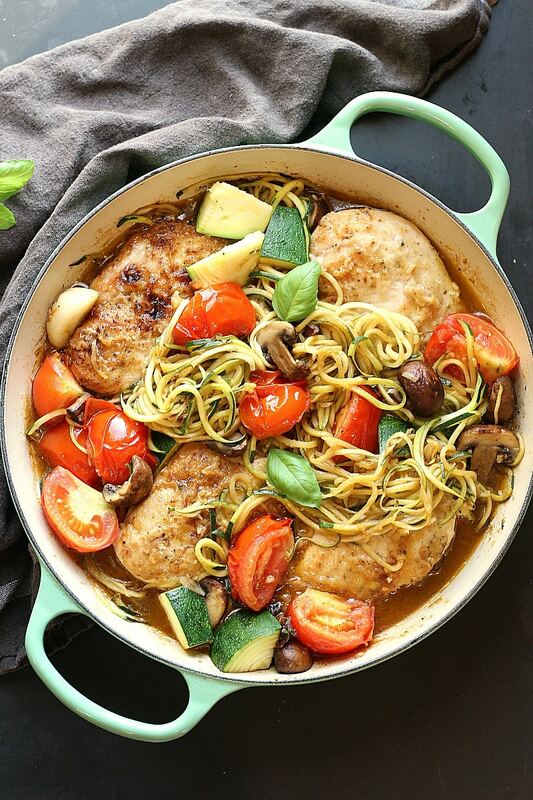 Healthy Low-Carb Chicken Zucchini Skillet from Garden in the Kitchen – if you want to stay away from pasta, why not try this zucchini noodle dish? It’s a fantastic and satisfying dinner for the whole family. 8. 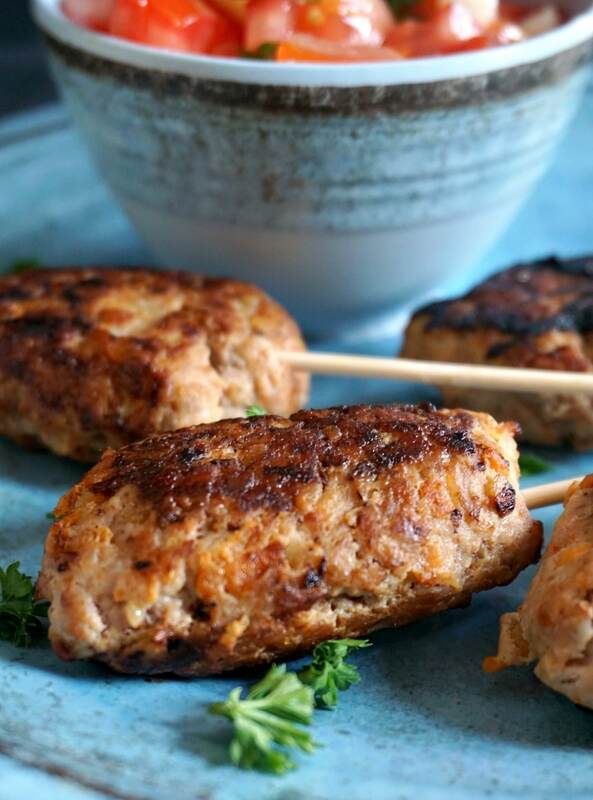 Turkey Kofta with Tomato Onion Salad from My Gorgeous Recipes – ready in just 15 minutes, these kofta are so easy to make, and so tasty. Quick dinner is all we need when life is busy. 9. 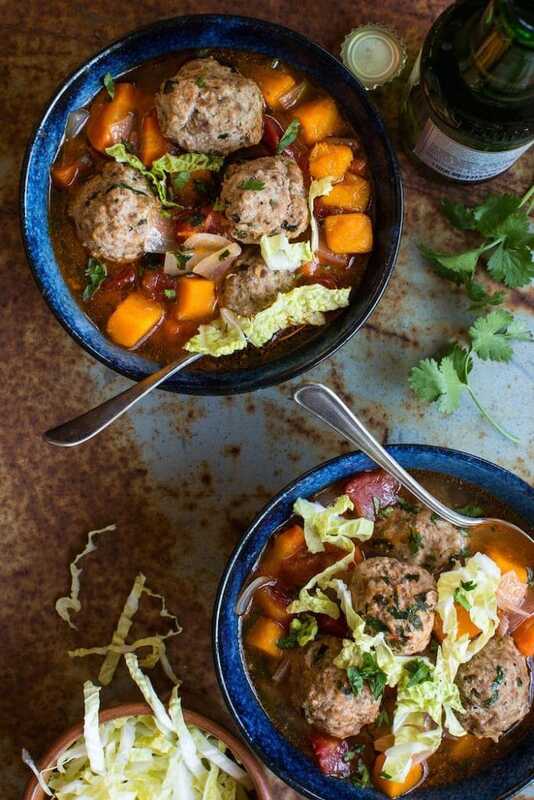 Mexican Meatball Soup with Butternut Squash from The Organic kitchen – Nothing like a hot bowl of soothing soup, add meatballs to it and you’ve got the mother of all soups. One portion is certainly not enough for me. 10. 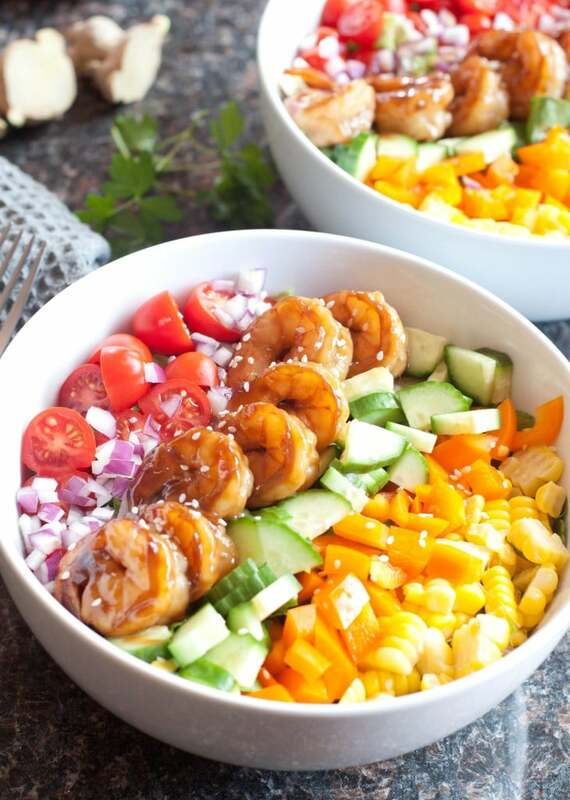 Teriyaki Shrimp Salad with Sesame Ginger Vinaigrette – from served from Scratch – a vibrant bowl of shrimp goodness guarantees a delicioud dinner. Who’s in? I certainly am. 11. 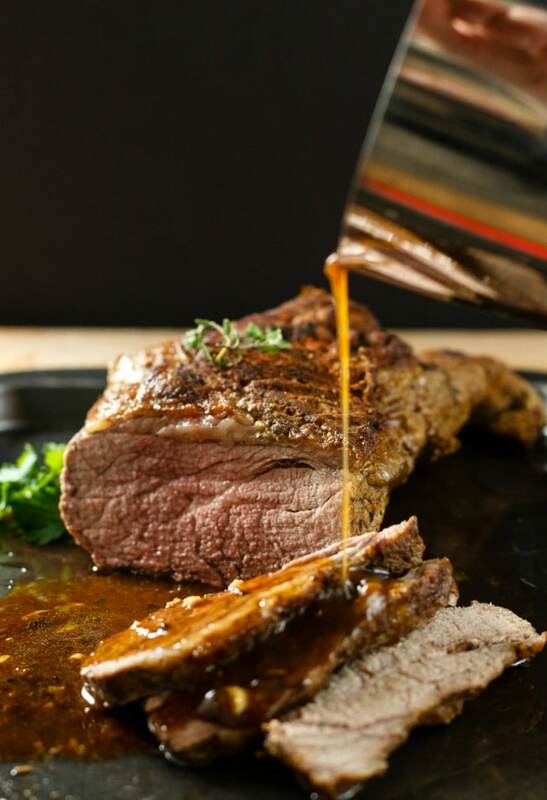 Easy One Pot Beef Roast Wine Sauce Low Carb Paleo from beautyandthefodie.com – nothing beats a good old beef roast. The wine sauce is sure to make it the best ever roast once can possibly have. My new favourite, for sure. 12. 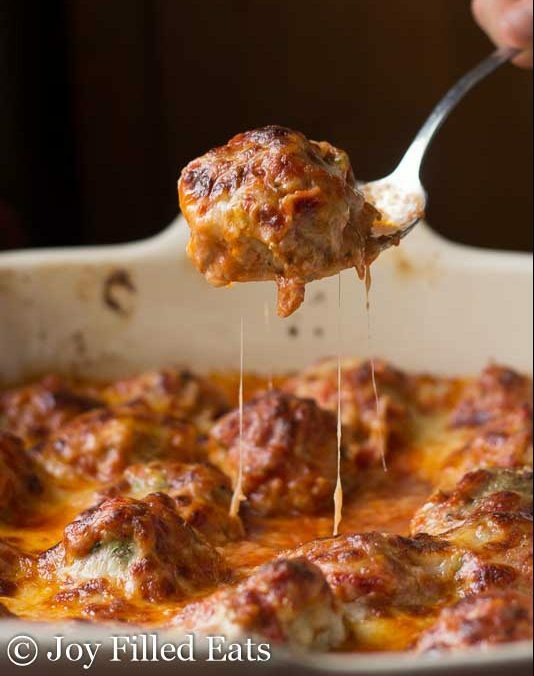 Meatball Parm Casserole – from Joy Filled Eats – hearty, satisfying, and out-of-this-workd delicious, this casserole is nothing but perfection. 13. 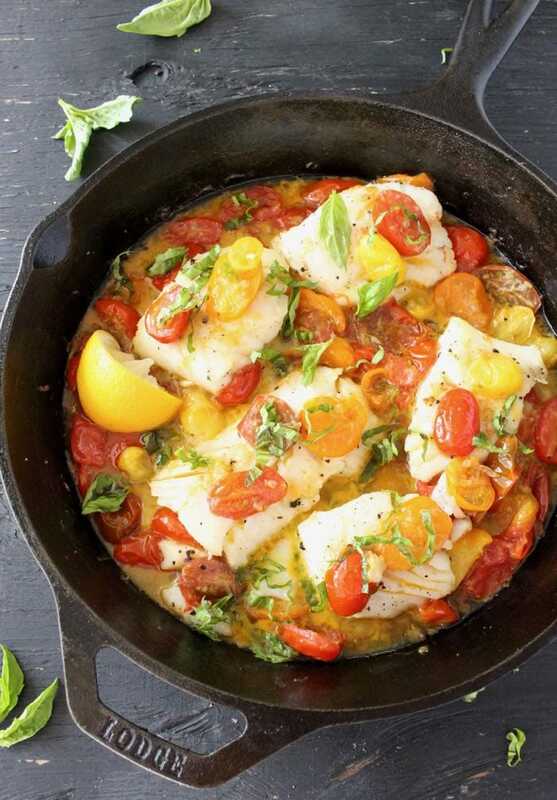 Pan Seared Halibut in Garlic White Wine Sauce from Ciao Florentina – if you like white fish, you’ll just love this colouful dish. It’s healthy, super tasty and made on the stove top in no time. Cooking has never been so easy and delicious. 14. 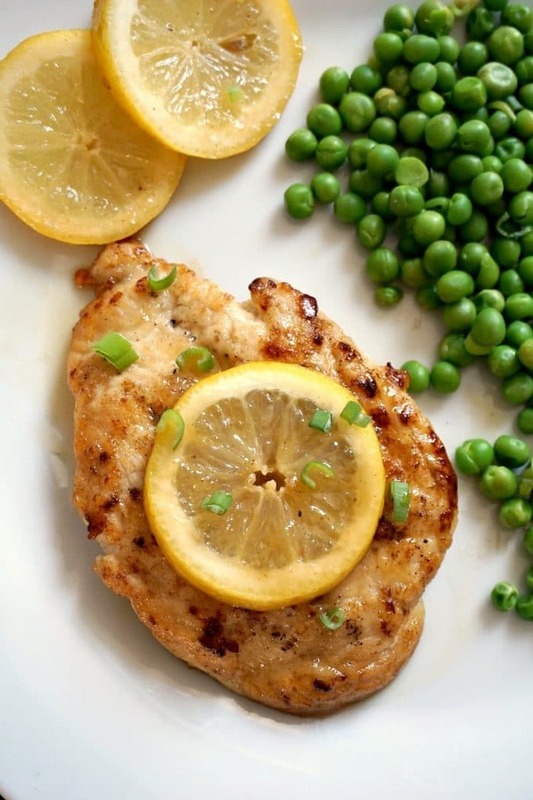 Lemon chicken from My Gorgeous Recipes – ready in 10 minutes or so, this lemon chicken is a fabulous dish I can never have enough of. 15. 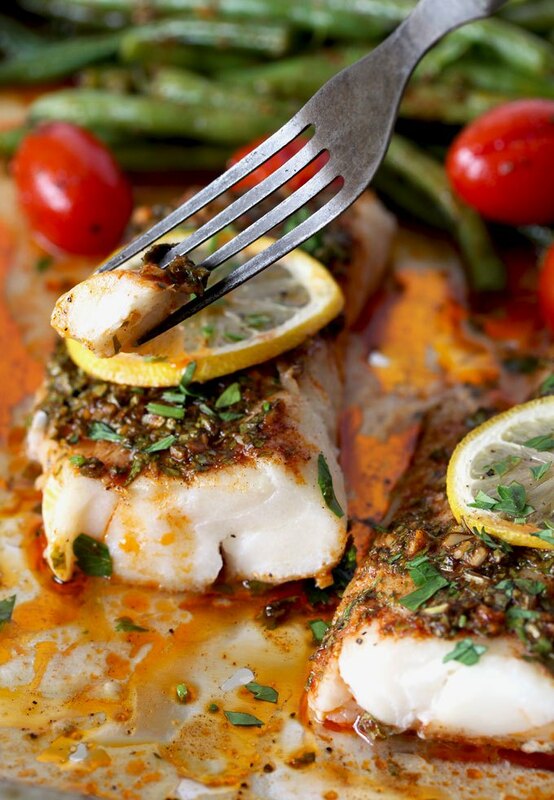 Sheet Pan Cod with Moroccan Chermoula Sauce from Lemon Blossoms – a super tasty dish to impress your guests. Colouful, healthy and easy to make. Dig in! A lot to choose from, I hope that you enjoyed these recipes. They are all to die for, and guess what, all super healthy too. 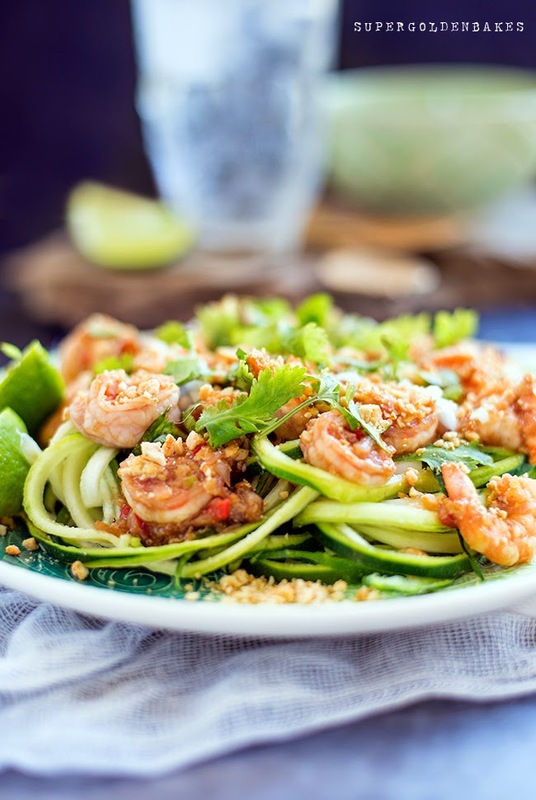 If you’ve liked my HIGH PROTEIN LOW CARB DINNER RECIPES or any other recipe on the blog then don’t forget to rate the recipe and let me know how you got on in the comments below, I love hearing from you! You can also FOLLOW ME on FACEBOOK, and PINTEREST to see more delicious food and what I’m getting up to. Thank you so much for including my Meatball and Butternut Squash Soup! What a beauitful collection of recipes! So many fantastic recipes in this great collection, Daniela. Whether poultry, fish or salad dishes they all look scrumptious as well as healthy.